I would definitely be a butterfly. A Monarch butterfly! I would be a firefly. As a child I loved going out during the summer and catching fireflies with my much older cousins! I know these books would be read over and over at our house! I'd join in as a dragonfly! I would be a bumblebee or a dragonfly! I would dress up as Dragonfly Girl. We do a bumble bee, love these books. Well, back when I was a kid, my friends and I were Butterfly Girls, so I guess I'd be Butterfly Girl. After reading this my kids invented: Green Cowboy and Super Rapunzel, the other had already invented his hero. 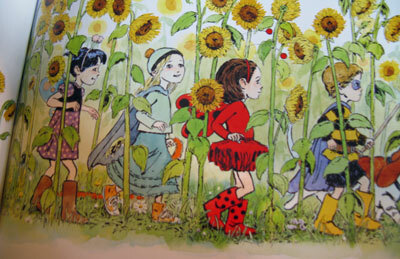 The Ladybug Girl books are beautiful - thanks for the chance to win! Elijah says he would dress up like a Mosquito Man -- then he could bite back the real mosquitoes that get him. I would have to choose butterfly, I like to see things from above. Following you and RSS subscriber. "Brimful Curiosities" has been included in this weeks A Sunday Drive. I hope this helps to attract even more new visitors. I would be a leafcutter ant! Butterfly for me too. So well illustrated and written. Beautiful work of art. Would love these for my grandgirls. What a great giveaway. 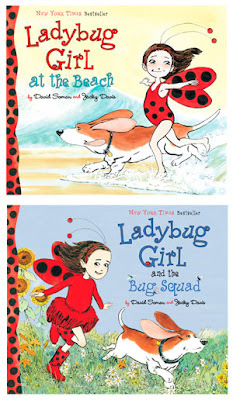 We have LadyBug Girl and Bumblebee Boy and would love to win these two. I think I would be Dragonfly Girl. I remember being captivated by dragonflies when I was young. Thanks! Just helped spread the word through Twitter. Thanks again! I'd be a dragonfly. Thanks! My granddaughter saw this book recently and loved it. I'd be a praying mantis. Thanks. 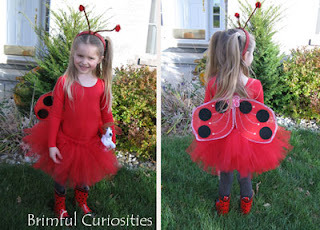 It would have to be the Ladybug! hmm....a bug squad? i would have to say an ant because i would like to be a cute little one with wings like on bugs life haha. looks like such a lovely book! Honestly, I don't really like bugs. If I had to be on the bug squad, I would be a little green inchworm. I would be a spider. They are cool. My daughter would be a dragonfly. I'd want to be a black widow. I would be a lightning bug. Thank you so much for the chance to win this for my little Gwen. I would be a Painted Lady Butterfly. I'd be a monarch butterfly! I would be a silkworm! I would love to be a Monarch butterfly!